Note : TATA Commercial Vehicle Parts are available at Wholesale. 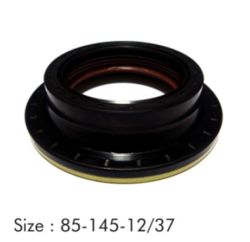 Our association is broadly known for maintaining the quality in offering Pinion Seal. Pinion Oil Seal installs at the front of the differential around the pinion gear. It is used to seal oil so that it does not overflow and spill over. We are involved in offering a wide range of Pinion Seal to our most valued clients. Our range of Pinion Seal is widely appreciated by our clients for its fine finish who are situated all round the nation. We offer our range of product at most affordable prices. These products are delivered in committed period of time. Our client can avail high quality range of Pinion Seal. It prevents the leakage of fluid between the shaft and housing. It is known for wear and tear resistance. It is efficient and effective and used in various applications like automobiles and others. We offer our range at market leading prices. Many power steering applications use high-pressure hydraulic systems. Seals for power steering applications. Include an input shaft seal (also known as a stub shaft seal) and a pinion seal. These seals are for shafts with slow oscillating rotation, and they typically have operating pressures that are 10 to 20 psi. Our entity is among the trusted names, betrothed in offering a comprehensive series of Oil Seals. Besides, we offer this product at low costs. 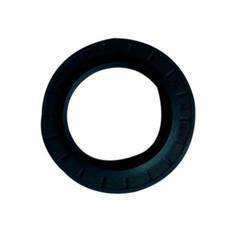 Our company has created niche in the field of offering Pinion Oil Seal.